Founded in 2002 Luxair revolutionised the cooker hood market by offering value for money, style, size options, colour choice and designer cooker hoods at affordable prices. Luxair have now introduced a fantastic value-for-money range of cooker hoods, named Valour (Italian for value). 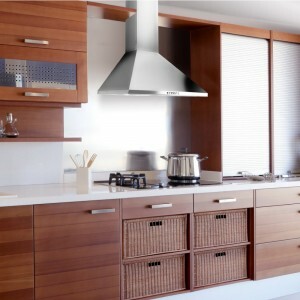 These hoods are truly value for money and are produced in our factory in Italy . Luxair offer you excellent customer service that is second to none. Luxair have in-house service engineers and UK stock and distribution service. All our staff are fully trained in product knowledge and installation. Be assured that if you do need assistance we are here to help. The Luxair Valore range of hoods offer a free*7 years parts and labour warranty! 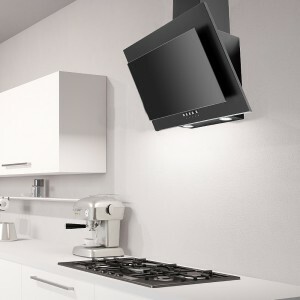 60cm Hubble Cooker Hood - Unique Curved Angled Glass With LED's- Black Glass LA-60-Hu..
60cm Hubble Cooker Hood - Unique Curved Angled Glass With LED's- White Glass LA-60-Hu..
60cm Ison Angled Cooker Hood - Black with Black Glass + S/Steel Trim LA-60-Ison-BLK ..
60cm Orbit Angled Cooker Hood - Black with Black Glass LA-60-Orbit-BLK 60cm Orbit Angle..
60cm Curved Glass Cooker Hood - Valore - Stainless Steel LA-60-CVD-VAL-SS 60cm Curved Glass Va..
70cm Curved Glass Cooker Hood - Valore - Black LA-70-CVD-VAL-BLK 70cm Curved Glass Cooker Hood..
70cm Curved Glass Cooker Hood - Valore - Stainless Steel LA-70-CVD-VAL-SS 70cm Curved Glas..
80cm Curved Glass Cooker Hood - Valore - Black LA-80-CVD-VAL-BLK 80cm Curved Glass Cooker Hood..
Curved Glass Cooker Hood 80cm Wide - Valore - Stainless Steel LA-80-CVD-VAL-SS 80cm Curved Gla..
90cm Ison Angled Cooker Hood - Black with Black Glass + S/Steel Trim LA-90-Ison-BLK ..
60cm Galaxy Cooker Hood - Unique Angled Hood Black Glass LA-60-Galaxy-BLK 60cm Ang..